Deep breaths, readers, for this is the news you never knew you needed but will suddenly become obsessed with. The titillating adventures of the Senran Kagura girls will be continuing well into the foreseeable future, as series producer Kenichirõ Takaki recently established a subsidiary within Marvelous with a focus on the franchise. The company within a company is named Honey∞Parade Games (how sweet!) and will also aim to create next-gen IP. Takaki will serve as director for Honey∞Parade Games, which had its capital stock fully funded by Marvelous. Home console games, online games, and video content are all listed as part of the company’s operations. Marvelous Inc.’s portfolio includes recognizable subsidiary XSEED Games, and the company owns the Harvest Moon and Rune Factory titles among others. If the Senran Kagura title looks familiar but you can’t remember why, it may be because of the franchise’s consistent presence in the Catch-up as of late. 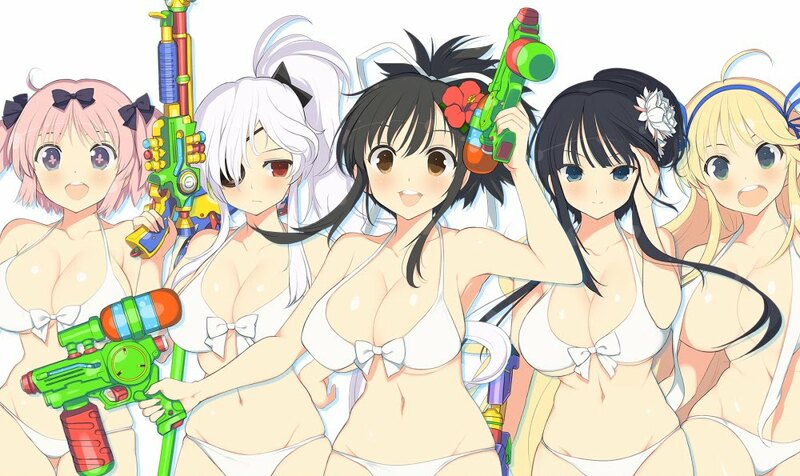 We are all eagerly awaiting the European and North American launches of Senran Kagura Peach Beach Splash (see the above image for every reason why), which released last month in Japan, as well as the upcoming series title in development for the Nintendo Switch that we would give anything for a glimpse at (hint hint, if anyone at Honey∞Parade is reading this). How dare Square Enix try to pry our attention away from all the glorious games that have come out since Final Fantasy XV last November? Everyone I know (minus myself) seems to have moved on from the latest in the famed JRPG series, usually onto another (Persona 5, looking at you!) or Nier: Automota. At least Nier is also Square Enix… Regardless, there’s a new free update to Final Fantasy coming on April 27, and since that’s only a few days away it’s a good time to get hyped! 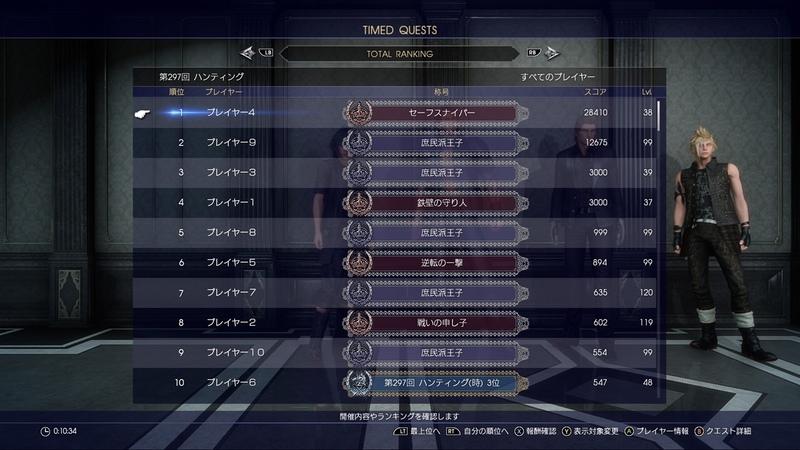 Timed Quests are starting up again. 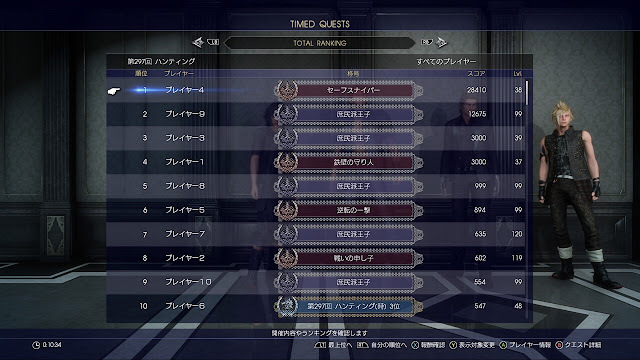 The one reason aside from premium DLC to keep players coming back is limited time quests that awards special goodies. Just for coming back, players will get a new weapon as a reward. There’s also a new ranking system. If your Regalia is looking a little … used … these days, spruce it up with new car stickers. Or bring the roof down and ride into the sunset blaring new songs for the music player. What is it about Japanese stories and dolls? They seem to pop up everywhere, and have done so for quite a long time — in fact, Scar of the Doll goes back to 1999. Hidehisa Miyashita wrote this psychological mystery/horror visual novel and it became a hit in Japan. You may know Hidehisa Miyashita better for his role as scenario writer on the game Folklore, which came to the West for the PS3 in 2007. He founded his own studio, Child-Dream, which has been developing both visual novels and role-playing games in Japan since 1997, with Hidehisa Miyashita specialising in mystery and fantasy scenarios. A young woman, Asumi, travels to Tokyo to track down her missing older sister. Not only has her sister mysteriously vanished, but Asumi finds herself in perilous waters, as her determination to uncover the truth draws her ever further into danger. So what role does the doll play? I believe this may refer to a teddy bear, given to Asumi by her sister … but don’t quote me on that, for this is indeed a tale of suspense and mystery! What you need to do is find the primordial instruments to restore peace and balance to the world - that’s it: just go and save the world, yes: you, a disciple of the Great Maestro Guido, creator of the primordial instruments. Everything you see is music-themed - from the characters to the weapons to the enemies. You explore a music-filled world which was separated into three islands, which in turn were held in balance by nine primordial instruments. And they were stolen. You need to explore the broken world of Aezir and naturally complete quests, solve puzzles, defeat bosses and discover the truth behind the islands. What really drew me to this game was the bright, colourful art style and what looks like infectiously fun gameplay. You can play as 4 different characters, each with their own unique set of abilities: Wolff the Harp-Archer, Jacques the Cello-Knight, Jules the Lute-Mage, Claude the Trumpet-Gunner, or team up with up to 4 friends in local co-op. Collect music sheets to learn new skills and customise your weapons. This sounds “music-themed” all right! The 9 unique bosses are each inspired by a specific musical instrument, and the music was composed for each boss with that in mind; the composer is Deon van Heerden who also made the soundtrack for BroForce. You can’t get more “music-themed” than that. AereA is developed by Triangle Studios and is releasing on PlayStation 4 (both physically and digitally) as well as Steam and Xbox One on June 30.